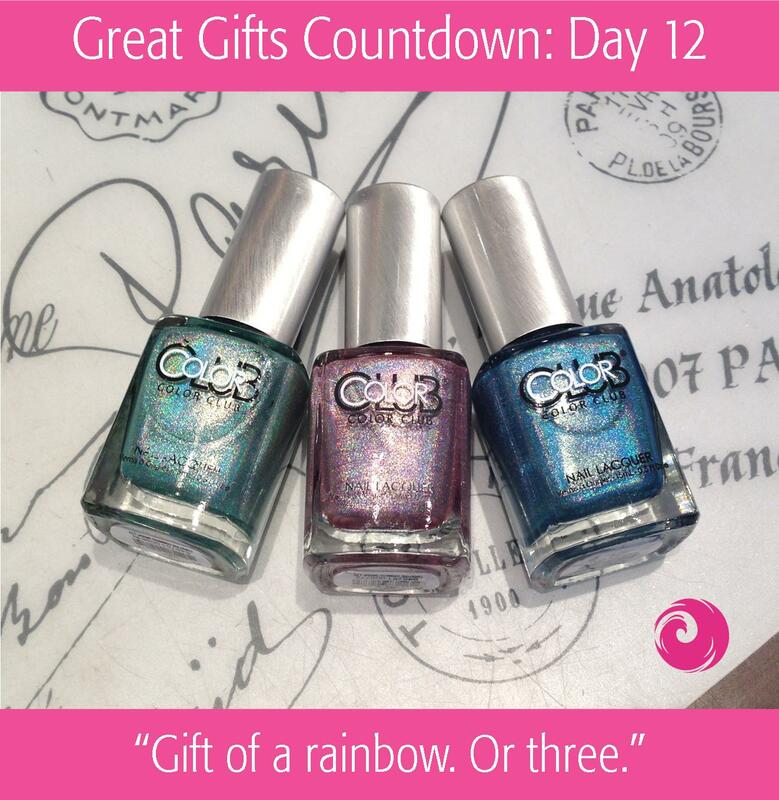 Great Gifts Countdown: Day 12 – Gift of a rainbow. Or three. Is it just me or you also had this feeling that rainbows have something to do with magic? Whenever i see one i get hypnotized and think it’s a wink from angels or some kind of blessing? Needless to say, when i wear such strong rainbows on my nails i can’t concentrate Caution: Be careful while driving! Color Club Holographic Nail Polish. This entry was posted in Christmas Gift Ideas, Gift Ideas, Product in Focus and tagged Christmas gift ideas, color club, Color Club Holographic by phoenixbeautylounge. Bookmark the permalink.